Brexit vote was white nostalgia, says demented Liberal Leader who also said “The Votes (in our referendum) of the older people had crushed the hopes and aspirations of young people, for years to come!! I think there was nostalgia for a time when Britain was peopled by mostly civilised individuals that together made for a gentler, happy society. However, the demented Liberal Leader was right about one thing: The EU Referendum was definitely a vote against mass immigration. Tagged Brexit White Nostalgia, British Democrats, britishdemocrats.uk, Racist Remarks, Vince Cable. The Leader of the Lib Dems could not be more wrong. It is the EU which imposes mass-immigration on Britain and other European countries, making life very difficult for young British people. England is now the most densely populated country in Europe – except for Malta, which is used as a staging post by illegals heading to Europe across the Mediterranean. As a result of immigrant over-population young British couples face considerable difficulty starting families of their own, with immigrants and foreign investors taking up housing and inflating prices out of reach. Britain has a foreign over-population problem rather than a housing problem. Those who promote multiculturalism and mass-immigration are the real racists because impeding an indigenous population from breeding amounts to genocide and would be prosecuted as such were it not for far-left political correctness as promoted by the infamous Frankfurt School. Quite right Kevan. Current Policy in our overcrowded Country , does amount to Genocide. Relativly Peaceful Genocide but still GENOCIDE nonetheless ! It is true that the EU has enabled mass immigration to Britain (though Mr Bliar could have imposed but didn’t EU seven year limits on Polish etc migration to us when they joined in 2004 as Germany ect did) BUT it is ALSO TRUE that much immigration to Britain has been allowed an encouraged by BRITISH governments WITHOUT ANY EU involvement. After all, it was supposedly Tory administrations in the 1950’s who gave us Jamaican ‘Yardie’ gangsters and Islamic extremists when they opened the floodgates for cheap labour from our ex-Empire. How very true. This is why the British Democratic Party TOTALLY CONDEMN the Policy of MASS IMMIGRATION from the Mis-named ‘ Commonwealth ‘ and other places in the World , that has been practiced by the Conservative Party , to gain cheap workers , the Labour Party to obtain voters and destroy our society and the Liberal Democrats , who just want to destroy our society and Christianity ! Personally I want to scrap the Commonwealth and its system of ‘ Commonwealth Citizens ‘ having the ‘ right ‘ to crowd into our small islands. 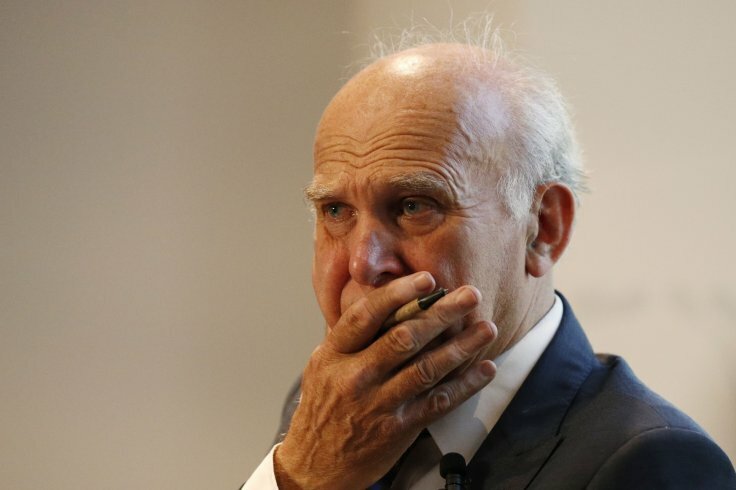 Many young British people will never get on a housing list, and I’m sure Vince Cable knows the reason why that is. Not that he would ever admit it. Many young Britons will grow up in an overpopulated society where an epidemic of violent crime and Islamic extremism are “just a part of everyday life”- the result of policies imposed on the UK by the likes of Cable and the EU superstate which he is so attached to. Next he will be lecturing the Italians, who are waking up to the fact that the EU is destroying their country too. The EU is on borrowed time, and these career politicians, who have betrayed the British, young and old, had better get used to it !